Book Description: The Faculty OER Toolkit is an information resource about and guide to adapting and adopting Open Educational Resources. Included are definitions and examples, information about Creative Commons licensing, and tips on how to adapt and/or adopt OER for classroom use. Faculty OER Toolkit by Shannon Moist is licensed under a Creative Commons Attribution 4.0 International License, except where otherwise noted. 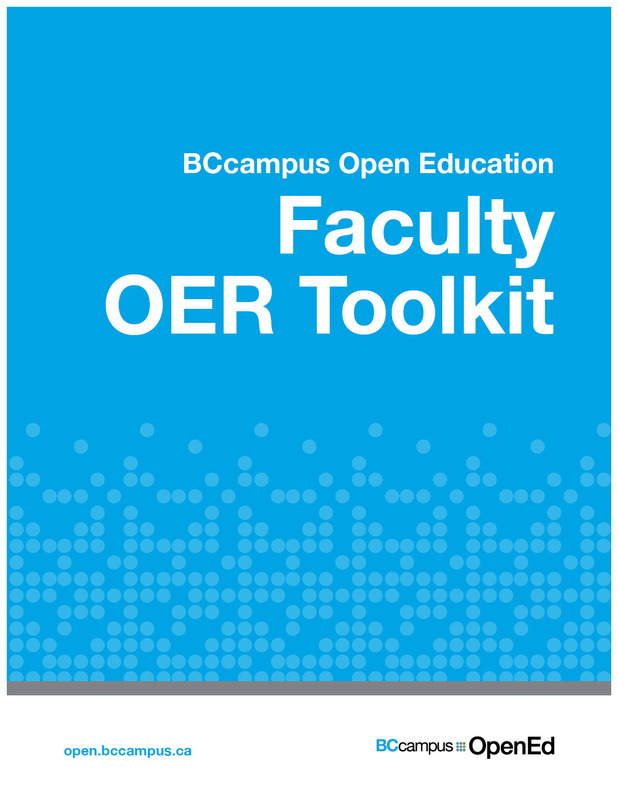 Faculty OER Toolkit by BCcampus is used under a CC-BY 4.0 International license. For questions regarding this license or to learn more about the BC Open Textbook Project, please contact opentext@bccampus.ca.